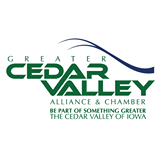 WATERLOO — The Greater Cedar Valley Alliance & Chamber will host its annual Cedar Valley Legislative Reception from 5 to 7 p.m. Feb. 5 at Embassy Suites, 101 E. Locust St., Des Moines. The mid-session reception brings together state legislators with business, local government and community leaders from Waterloo, Cedar Falls and the surrounding area to discuss accomplishments and issues of importance to the Cedar Valley. There is no cost to attend, but an RSVP is appreciated by Jan. 24. To register for this event, go to www.cedarvalleyalliance.com, under the Events tab or call 232-1156. CEDAR FALLS — The first meeting for the Financial Planning Association of Eastern Iowa will take place Monday at MidWestOne Bank, 4510 Prairie Parkway. As a member of FPA Eastern Iowa, there is no cost to attend. Guests will be charged $25. Lunch will be served at 11:30 a.m. and the meeting will start at noon. This meeting will focus on taxes. 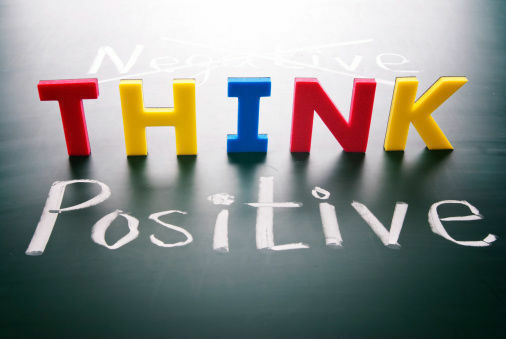 INDEPENDENCE — Buchanan County Economic Development will host the Lunch and Learn installment, Positivity in the Workplace. The event takes place from 11:45 a.m. to 1 p.m. Jan. 24 at the Independence American Legion Hall, 205 Second St. N.E. Lunch will be served at 11:45 a.m. with the presentation beginning at 12:05 p.m.
Presenter Marcie Van Note will provide tools to help employers and employees create and tap into positivity in the workplace. Van Note is the interim director of the MBA Program at Mount Mercy University. The Lunch and Learn cost is $10 per attendee and free for BCEDC investors. To register, call George Lake at 334-7497 or email director@growbuchanan.com with the company’s name and the names of those attending the workshop. Registration is due by noon Jan. 22. Pay at the door, by credit card at www.growbuchanan.com or by check to BCEDC, P.O. Box 109, Independence, 50644. CEDAR FALLS — University of Northern Iowa Rod Library’s Special Collections & University Archives was selected to receive Preservation Assistance Grants from the National Endowment for the Humanities in the amount of $5,986. The grants were awarded for the project “Improving Preservation Policies and Practices for Rod Library Manuscripts and University Archives,” which is under the direction of Jaycie Vos, special collections coordinator/university archivist and assistant professor at Rod Library. This project will improve preservation in Special Collections & University Archives at UNI, which will support future research, teaching and outreach. The focus will be manuscripts and university archives, which consist of 5,400-plus linear feet of print, audiovisual and large format items that document experiences from diverse perspectives in activities, ideas and change across education, arts, culture, politics and social life on campus and across the region. The project is scheduled from Jan. 1 to June 30, 2020. WEST DES MOINES — UnityPoint Health, which includes Allen Hospital and Grundy County Memorial Hospital, is among 12 health systems representing approximately 250 hospitals across the United States that have joined Civica Rx as founding members. Civica Rx members drive drug selection decisions to ensure Civica Rx manufactures medications most essential to patient care. Civica Rx expects to bring more than 14 hospital-administered generic drugs to hospitals and health care systems in 2019 as the initial focus of the company’s efforts, with many additional medications prioritized by the healthcare systems as the next phase of focus. WATERLOO — Tractor Supply Co. and FFA are partnering for the Grants for Growing campaign that provides funding to FFA chapters for the development or improvement of a proposed agricultural project. The application period is now open and extends through Feb. 11. For more details about the program, go to tractorsupply.com/FFA.